Robimycin (oral erythromycin) is an antibiotic used to treat moderate to severe inflammatory acne or acne that isn’t getting better with other treatments. Erythromycin is also used topically to treat acne. Besides acne, erythromycin is used to treat a wide variety of conditions, from ear infections to rosacea. It’s a prescription medication and there is no over-the-counter alternative. Erythromycin works to improve acne by reducing the amount of acne-causing bacteria, called Propionibacteria acnes, on the skin. These bacteria, also called P. acnes, are normally found on most people's skin. But, for those with acne, the bacteria irritate the pore and contributes to redness and inflammation. Erythromycin can help reduce bacteria and also lessen inflammation and redness. Oral erythromycin is not really meant to be used as a long-term acne treatment, though. Ideally, you'll take it for only a few months or just until your acne starts to get better. Then you'll stop using the erythromycin and continue acne treatment with another medication that's better suited to long-term use, like topical combination acne medications, oral contraceptives (for women), or topical retinoids. Think of oral erythromycin as a jump start to get acne and inflammation under control. Is erythromycin upsetting your stomach? Taking it with food can help. If you develop severe stomach pain or severe diarrhea, let your doctor know right away. Oral antibiotics work best when there is a steady amount of the medication in the body. Do your best to take your medication at regular times and try not to skip doses. Make sure you take the entire course prescribed, even if your acne clears up. Tell your dermatologist if your acne isn’t improving at all, or if it gets better for a while but then returns. Although erythromycin has been used for years to treat acne, it's not the go-to acne treatment antibiotic that it used to be. Today we have newer antibiotics that are the more popular choice. And, compared to these other options, erythromycin simply isn't the most effective antibiotic treatment for acne. Erythromycin is still the best antibiotic acne treatment option for pregnant or breastfeeding moms, though. It also can be used by younger children because, unlike some of the other oral antibiotics, it won’t cause tooth discoloration. You’ve probably heard about the growing problem of bacterial resistance caused by the overuse of antibiotics. Because of this, some people find their acne doesn’t respond well to erythromycin treatment. To help combat antibiotic resistance, oral erythromycin shouldn't be the only treatment you're using to clear your acne. It will work best if it's combined with another acne treatment medication. That means you'll probably be using several different acne treatment medications at once. Your dermatologist will most likely prescribe a topical acne medication to use while you're taking oral erythromycin. Oral erythromycin fights bacteria. But bacteria is only one acne-causing factor. Other factors that contribute to breakouts are blocked pores and excess oil. Using medications that fight these factors, for example, topical retinoids and benzoyl peroxide, will help you get better results than using oral erythromycin alone. Oral erythromycin isn't the first, nor necessarily the best, treatment choice for acne. Oral erythromycin should only be prescribed in very specific cases, where an oral antibiotic is needed and other antibiotics aren't an option. 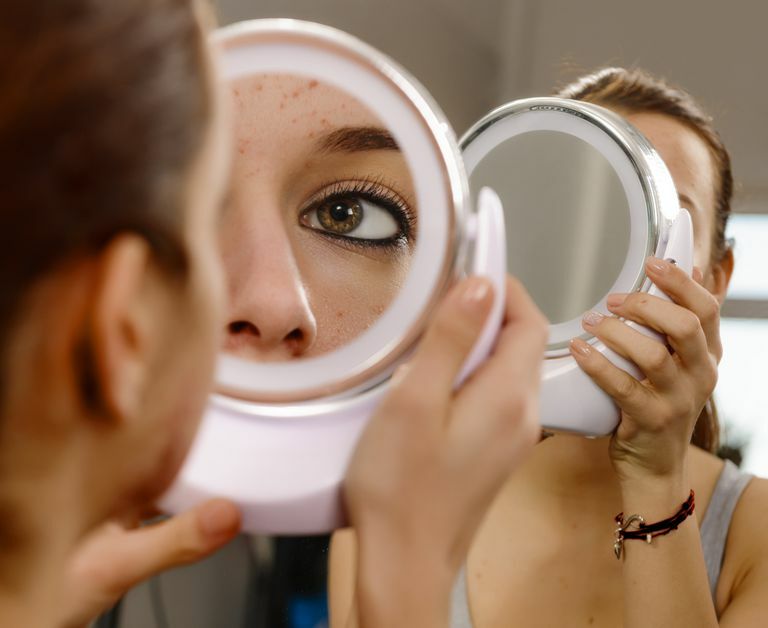 Oral erythromycin isn't the go-to acne treatment choice but, in certain cases, it can be helpful in getting acne under control. Ideally, oral antibiotics should be used for the shortest amount of time possible to get acne under control. They should also be used along with another, ideally a topical, acne treatment. You can do your part to fight antibiotic resistant bacteria by taking all of the prescribed antibiotic, not skipping doses, and following usage directions as closely as possible. Dreno B, Thiboutot D, Gollnick H, Bettoli V, et. al. "Antibiotic Stewardship in Dermatology: Limiting Antibiotic Use in Acne." European Journal of Dermatology. 2014 May-Jun;24(3):330-4. Pugashetti R, Shinkai K. "Treatment of Acne Vulgaris in Pregnant Patients." Dermatologic Therapy. 2013 Jul-Aug; 26(4):302-11. Whitney KM, Ditre CM. "Management Strategies for Acne Vulgaris." Clinical, Cosmetic, and Investigational Dermatology. 2011;4:41-53. Is Aczone the Right Acne Treatment for You?